The panel blind provides an innovative shading solution for larger windows and patio doors that looks fabulous in both contemporary and traditional settings. Panel blinds are an elegant and versatile shading solution for larger windows or patio doors and can also be used as a room divider. The blinds encompass large panels of fabric which stack neatly behind one another when open, allowing maximum light into the room. Panel blinds are manufactured using dedicated fabric selections with the fabric panel widths being tailored to suit the window size and operating requirements. 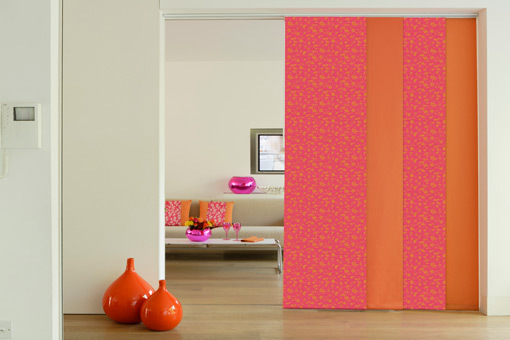 Simply slide the fabric panels back by use of the operating wand or cord to gain maximum exposure from your window. 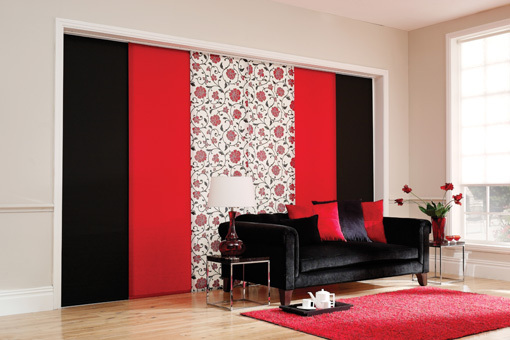 Panel blinds can also be used as decorative room dividers creating individual space and improving the flexibility of any room. 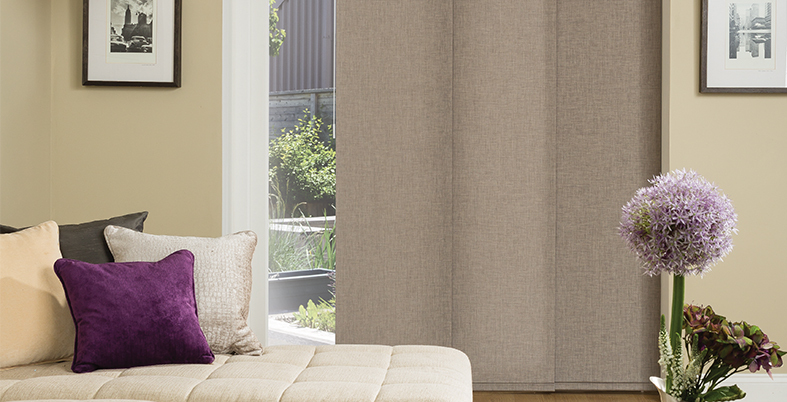 The blind can part in the centre or be stacked to the side to provide a versatile option for any home. 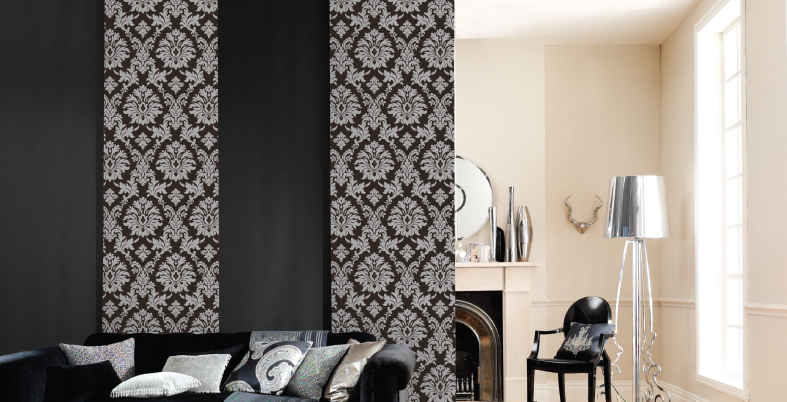 There is a huge range of styles available in a range of exotic colours, subtle shades and dynamic effects. 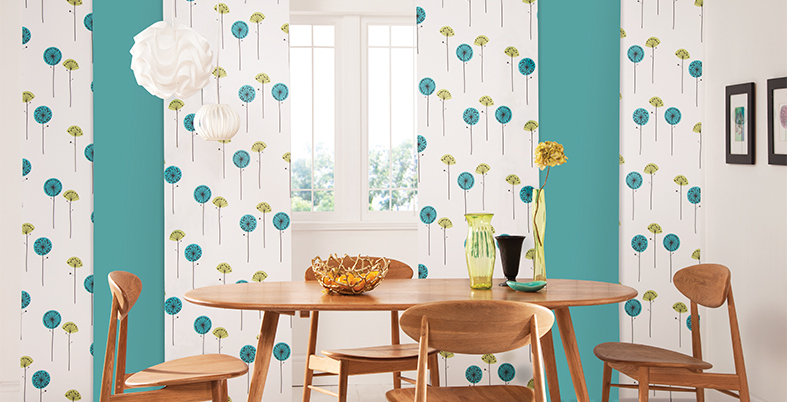 Simply click on the link below to view a range of fabrics, colours and to see the very latest in interior trends and fashions which are all available as made to measure panel window blinds for your home. 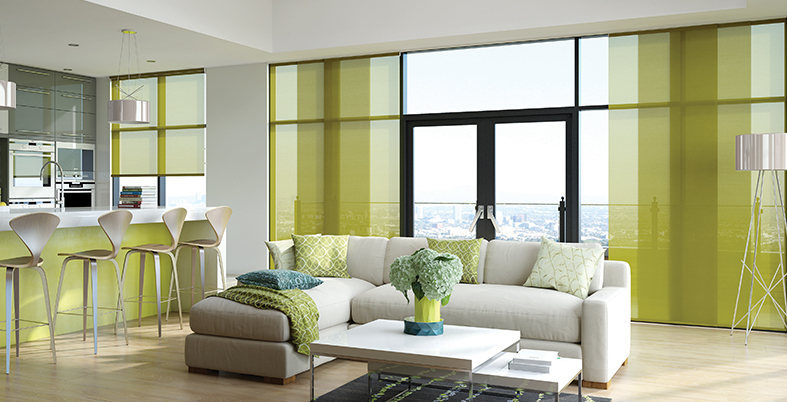 What are the lead times for getting panel blinds installed? 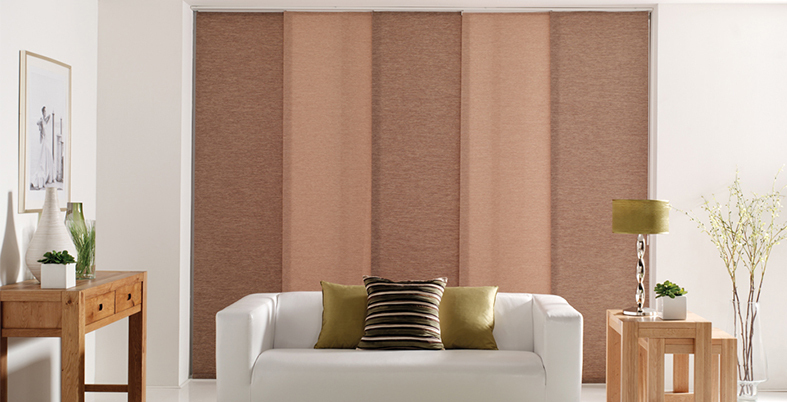 Most panel Blinds can be manufactured and installed within 10-14 working days. 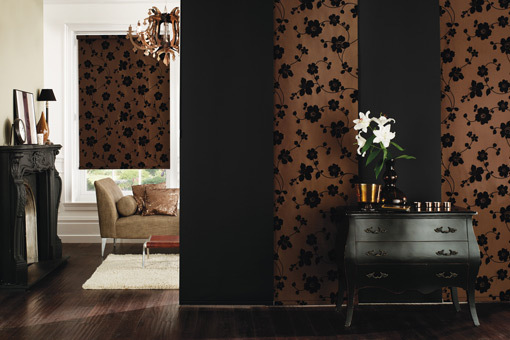 Telephone 01772 655666 for help and advice on our range of panel Blinds. Can we see your panel on display in your showroom? We have a large showroom in Preston that showcases very latest panel blinds giving you the chance to view a huge range of styles and colour options designed to fit perfectly with your home and budget. Do you repair old panel blinds? 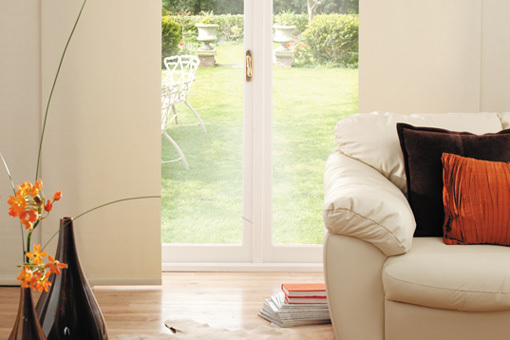 We can repair minor faults on most panel blinds depending on age. Call into our showroom for further info or telephone 01772 655666 for help and advice. Is there any extra charge for installing my panel blinds? 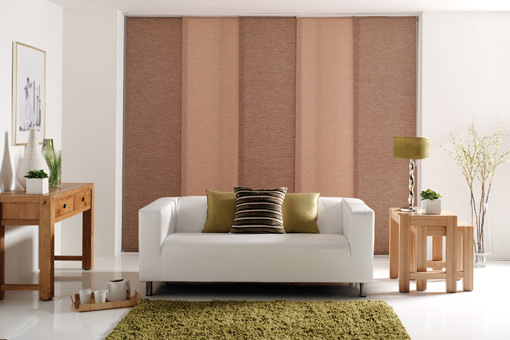 No, we install all our panel blinds free of charge – telephone 01772 655666 to book your free design appointment.